Wear safety glasses to avoid injury when using compressed air or any cleaning solvent. Bodily injury may occur if fumes are inhaled or if skin is exposed to chemicals. Do not allow the bearings to spin. Turn them slowly by hand. Spinning the bearings may damage the race and the rollers. Mark or tag the bearings in order to ensure they are properly installed in the correct location. Clean all of the roller bearings, needle bearings, and ball bearings in a suitable solvent and air dry all the parts. Inspect the cage bearings for being bent or for having damaged cages. 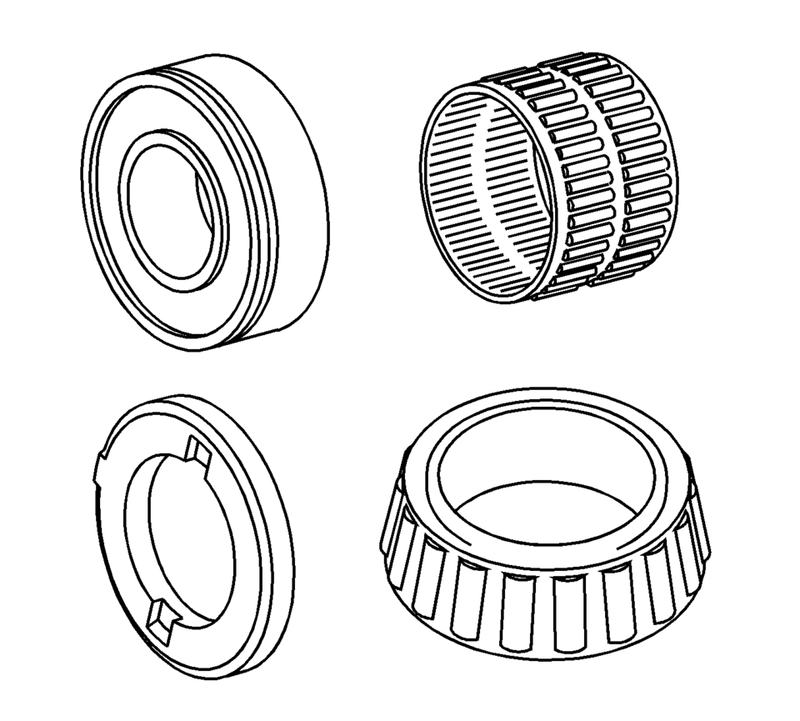 Replace the bearings with any of the above conditions. Replace mated bearing parts when only one part is damaged. Inspect the thrust washers for scoring or wear. Replace any faulty thrust washers. Do not file surfaces which have been hardened and precision ground.